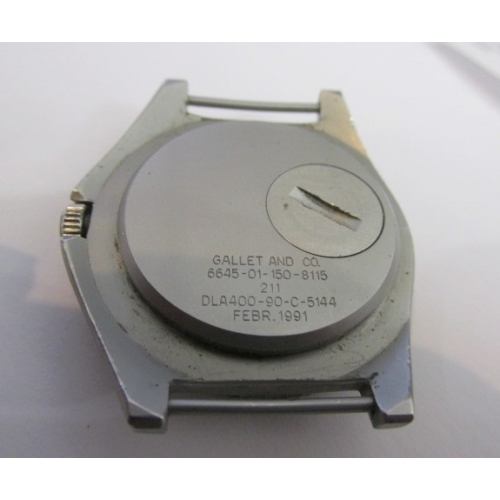 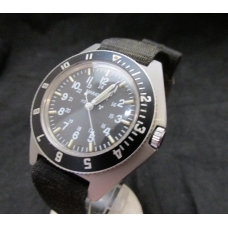 Issued to Air Force and Navy pilots during Operation Desert Storm (1991), this watch has a quartz movement and self energizing tritium gas-tube luminescence ( due to age not sure of luminous) The case is military style with fixed bars and directional bezel with click . 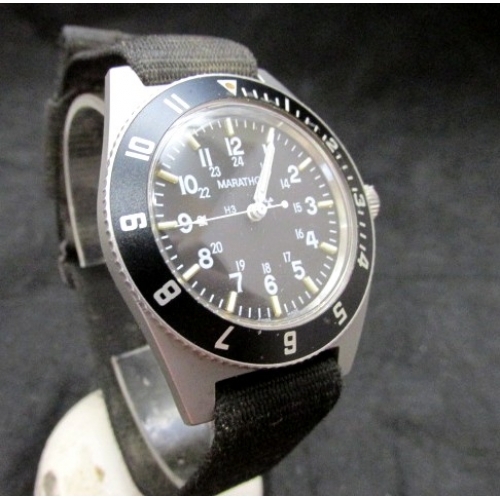 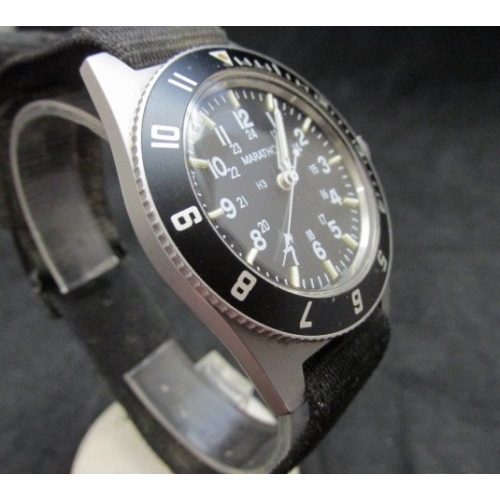 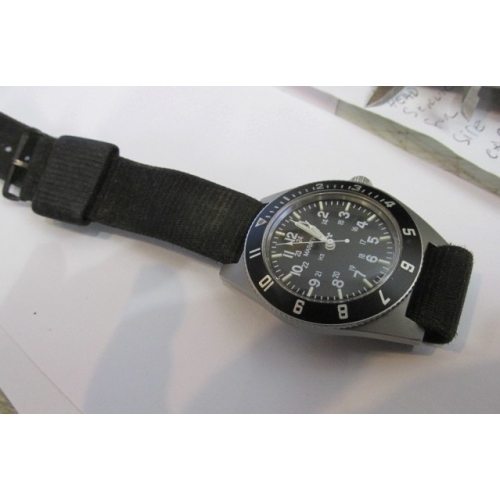 Direct descendant of the Benrus Type II military dive watch. 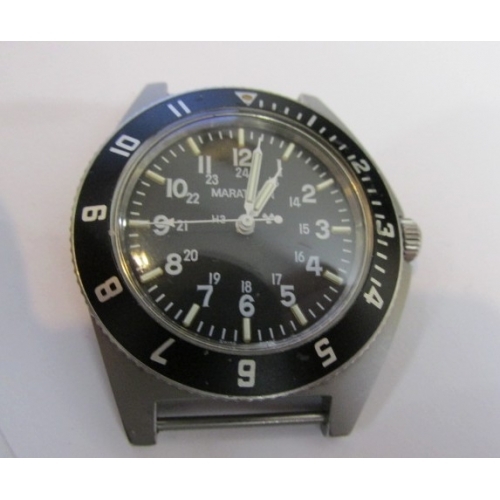 Movement is hack set quartz and has battery hatch in case back....new battery just installed ....running perfect! Has original black nylon issue band.......ready to go!